The European Commission has initiated the campaign #EUandME for young people up to the age of 35 with the aim of informing them on the values and rights of European citizens. The campaign was launched on May 9, 2018, in all 28 member states and will last for 18 months. The campaign centers on five topics spanning young people’s current interests: mobility, digital technology, skills and business, sustainability and rights. The topics are problematized in short films made by renowned European directors: Dalibor Matanić (Croatia), Tomasz Konecki (Poland), Matthias Hoene (Germany), Yorgos Zois (Greece) and Zaida Bergroth (Finland). However, this is only the beginning of the campaign! All creative young filmmakers – including those still in the making – can join their acclaimed colleagues. All they have to do is apply to the competition with an idea for a film related to one of the five topics. 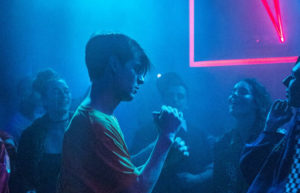 Five competition winners will receive nonrefundable financial support in the amount of 7,500 Euros and a chance to make their film under the mentorship of a top European director. The five films in the campaign will screen before the films in the PLUS program, will be our way of joining this praiseworthy initiative. All the information on the campaign is available at https://europa.eu/euandme/en, where you can also apply for the young filmmakers’ competition. 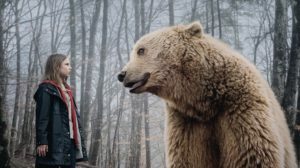 The film deals with EU’s environmental policy in a story about a girl who gets lost in a menacing forest but, in the form of an unexpected friend, finds help and her way back.